Looking for a dental service that has the sensitivity and expertise to serve people with special needs? Concerned about a dental office being equipped for the special needs of individuals? If you’ve answered yes to any of these questions and live in Birmingham, AL, then come and see me, Dr. Joseph Daniel. My office specializes in assisting those with special needs and making the appropriate accommodations for them. As a leading dental surgeon in Birmingham, I pride myself in being sensitive to special needs and making sure that everyone in my office is served equally. Not only is our office furniture arranged to accommodate special needs, but we have invested in the latest dentistry chairs and technology. This has ensured that any patient that visits my office is comfortable and at ease. Even people with special needs, have to maintain oral hygiene. Having someone they can trust and rely on is important. I have treated many patients with special needs in my Birmingham office and have them as regular patients now. My staff is professionally trained to work alongside me in serving those with special needs. Come by our conveniently located office at 2045 Brookwood Medical Center Drive, Birmingham, AL. Make an appointment with us, and you will see what we’re talking about. 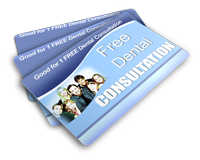 Let us ease your anxiety about finding a dental service that can serve those with special needs. Schedule an appointment today by calling us at (205) 967-0760. Don’t be uncertain in your decision to contact me, Dr. Joseph, Daniel; I would be happy to treat any dental problems you may have. Are you still contemplating about visiting my dental office? Still have unanswered questions? Well, bring those questions into my office and I will answer them all and put you at ease. Do not ignore your dental health, make an appointment today. Looking for a kid-friendly dental service? Are you on the lookout for a dentist that understands how to deal with antsy children? Are you looking for a dental office that has an environment that welcomes the family? Look no further! Come and visit me, Dr. Daniel at my office located at Birmingham, AL. I’ve been treating kids for so many years now that I totally understand their needs as well as the needs of parents. There is nothing that can replace that relaxed and friendly environment when you need to bring your nervous kid into the dentistry office. My office is designed in such a way that it has a calming effect on kids. Moreover, my staff is trained to deal with kids and make them feel at ease. When you walk into my Birmingham office, you will find furniture that is age and size appropriate for small to teenage kids. Creating an environment where kids can feel supported and comfortable is what we strive for. We are an office that welcomes all kids. Are you ready to become our new patient? Allow us to serve you and your family. We guarantee you that your kid’s dental health is safe in our hands. Our office located at 2045 Brookwood Medical Center Drive, Birmingham, AL. If you have children who need a fun loving, friendly, and yet professional dentistry, then call me, Dr. Daniel for an appointment. Dinosaur Band-Aids, bright colored tooth brushes, small tubes of toothpaste, and colorful bandages are ready at hand to distract kids and make them feel comfortable and excited. Feel free to ask my professional team of staff any questions or concerns you may have concerning your kids’ dental and oral health services. Our office is located at 2045 Brookwood Medical Center Drive, 35243 and the contact number is: (205) 967-0760. Bring your child in to see me, Dr. Joseph Daniel.